YEREVAN, Armenia ‒ On September 3-28, the Turpanjian School of Public Health (SPH) of the American University of Armenia (AUA), the National Institute of Health of Armenia (NIH), in collaboration with the Armenian Volunteer Corps (AVC) and Birthright Armenia launched the “Quit10” public campaign, which aims at encouraging the general public to quit smoking and at reducing the number of smokers. The concept of the campaign was based on the analogous French campaign called “Moi(s) sans Tabac” meaning “me (a month) without tobacco.” The Armenian version of the campaign was named «Թող10» (“Quit10”) and had three objectives: 1) to inform and 2) to involve the public, and 3) to challenge smokers to quit for at least 10 days. 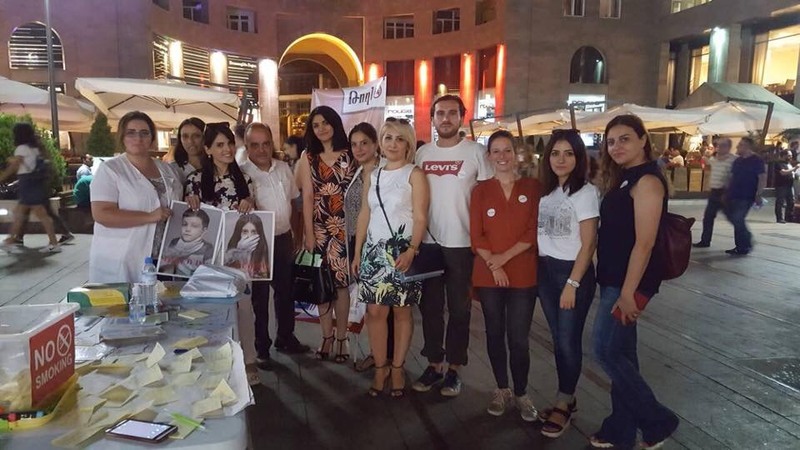 An informational campaign initiated through DoNotTobacco and Coalition for Tobacco Free Armenia Facebook pages on September 3 aimed to increase the awareness of the general public on the harmful effects of smoking and of exposure to secondhand smoke and offer different tips for quitting. With this purpose, various messages related to health and smoking were posted on the Facebook page and active discussions on those topics were facilitated through Facebook comments. 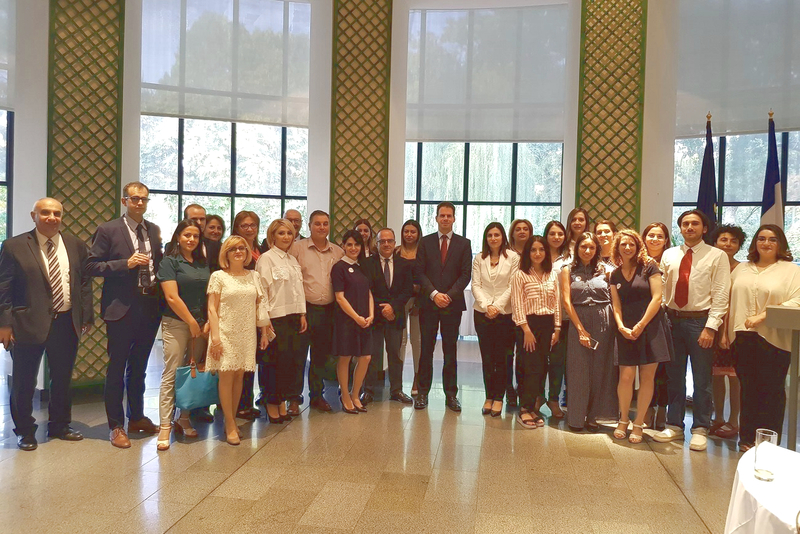 Dr. Arusyak Harutyunyan, SPH Averdisian Onanian Center for Health Services Research and Development Senior Researcher, organized a tobacco dependence treatment seminar for residents of the Family Medicine department of Yerevan State Medical University. The seminar aimed to increase the residents’ knowledge and skills in tobacco dependence treatment and to motivate them to join the “Quit 10″ campaign as volunteers. 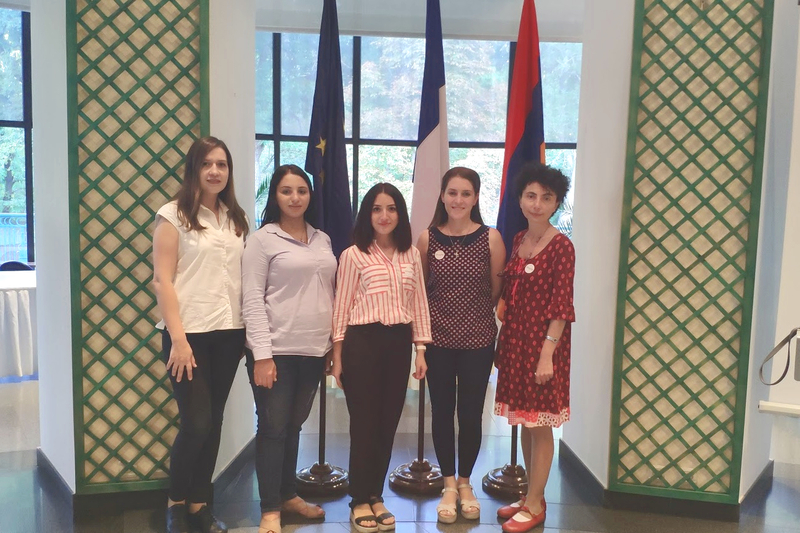 Upon completion of the seminar, Emma Ghazaryan and Gayane Danielyan (1st and 2nd year medical residents, respectively) volunteered to join the counseling team. On September 13 and 14, the counseling team provided smoking cessation counseling to smokers and measured breath carbon monoxide (CO) level using CO monitors. This counseling event took place on Northern Avenue. The counseling team challenged passing smokers to quit smoking for 10 days and encouraged them to stay with their smoking cessation success following the DoNotTobacco Facebook page. 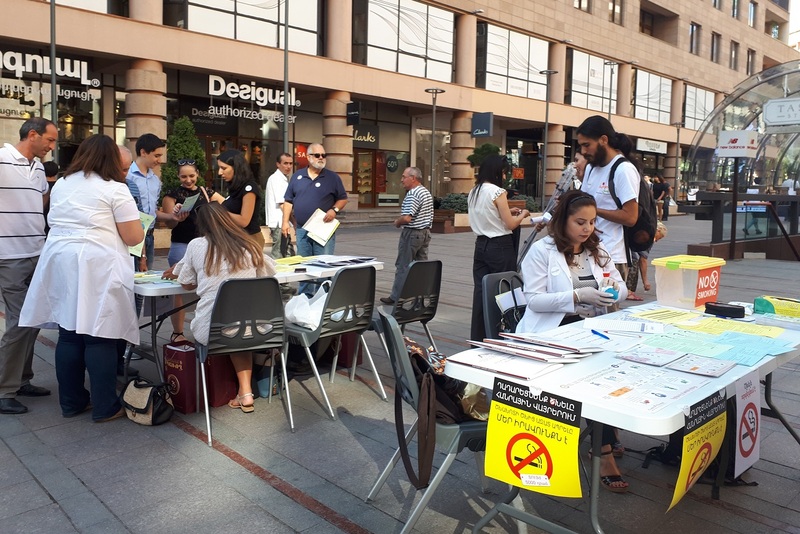 Non-smoking passers by were encouraged to remain tobacco free and were informed about the health hazards of secondhand smoke. 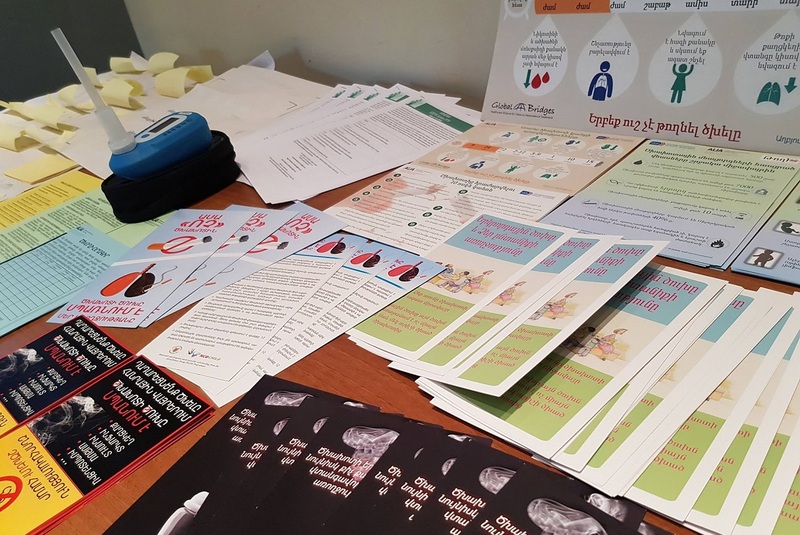 Participants of the campaign received informational materials, such as leaflets and brochures, developed by AUA SPH. Free consultation sessions gained significant public attention with over 400 participants approaching the counseling team. 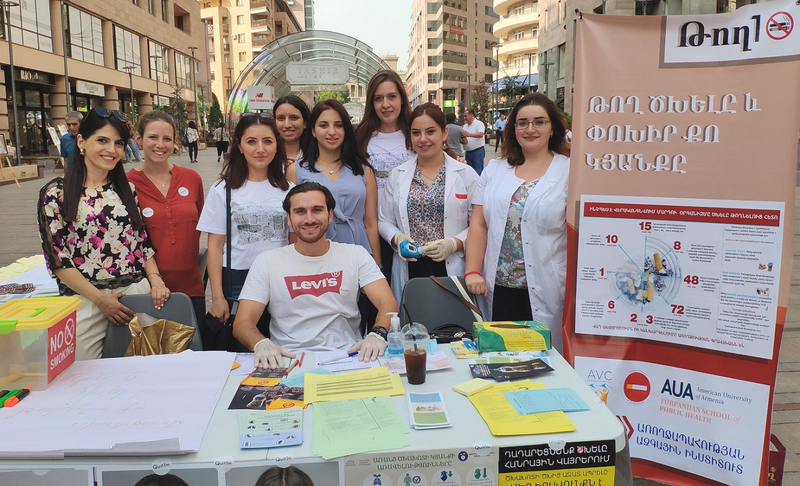 Dr. Lena Nanushyan, the Deputy Minister of Health, Dr. Aleksandr Bazarchyan, the Director of the NIH, Dr. David Petrosyan, Advisor to the Minister of Health, and other distinguished guests were at the street event to give their support to the campaign and promote a healthy lifestyle. On September 15, World Cleanup Day 2018, volunteers of the campaign initiated a cleanup of the parks nearby the NIH from cigarette butts aiming to increase public awareness of the environmental hazards of smoking. 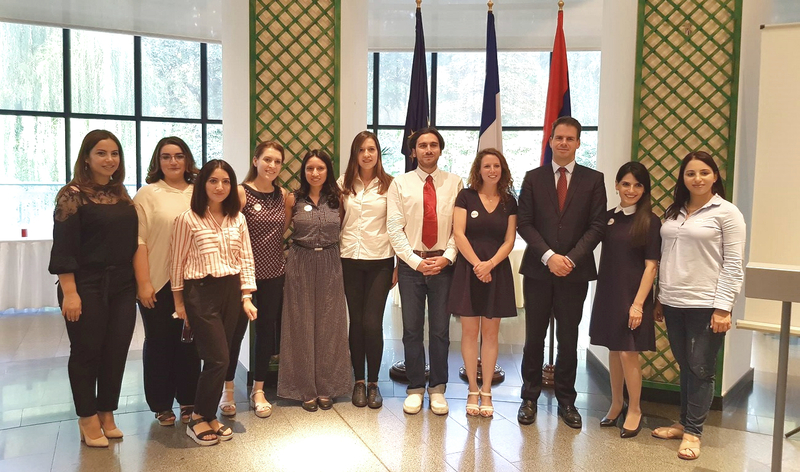 On September 28, the French Embassy in Armenia hosted about 30 guests including the the campaign partners and other special guests for the Closing Ceremony of the “Quit10.” Jonathan Lacôte, Ambassador of France to Armenia, Dr. Bazarchyan, and Anahit Avanesyan, the Deputy Minister of Health, delivered talks focusing on the tobacco control policy in Armenia and welcomed the implementation of the campaign within the scope of the Armenian-French partnership. Afterwards, Arevik Torosyan, the Head of the Health System Performance Assessment Department of the NIH and Anaïs Delattre, an AVC volunteer from France, made a concluding presentation summing up the campaign and its results. “Quit10” was a unique initiative that successfully gathered various agencies to advocate for smoking cessation. Strong public engagement was evident during all stages of the campaign, indicating there is a need for more similar events. People demonstrated a desire to live healthier lives, but often did not have the appropriate resources to do so. “Quit10” has shown great potential for positive change resulting from continuous public health campaigns.